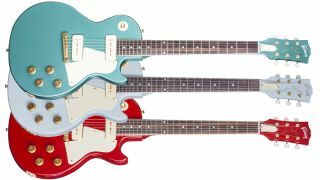 Following on from the ultra-bling Ultima ES-335 and Les Paul - not to mention the Modern Double Cut and a raft of black ’n’ gold limited-editions - Gibson Custom has unveiled colourful new Les Paul Special models, with matching headstocks. A Les Paul with a matching headstock is a very rare thing indeed (the last matching-’stock model we can remember being the Billy Morrison LP), but rarer still when it’s in five classic Firebird finishes: Inverness Green, Cardinal Red, Frost Blue, Kerry Green and Pelham Blue. Elsewhere, the model is packing Custom P-90s Soapbar pickups, mounted to a nitrocellulose-finished solid mahogany body - no maple tops here. The snagging point is the price, which stands at a considerable $3,499. We’d love to see these trickle down to the standard Gibson line at some point. 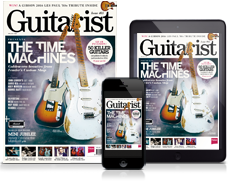 Until now, you can gaze in wonder over at Gibson.com.